…It is Time for a New Age Group… | Je Me Souviens-To Infinity & Beyond! I am a 29 year old female runner. But, on Wednesday, I jump an age group. I turn 30 years old on October 1st. In the running world, this is a big deal. Age groups at races are usually 10 year groupings. I have been in two major age groups during my time running road races. The first was when I was in my teens, and my first official event I ever participated in (that can be found still online for all to see) was the 2002 Jingle Bell Run for Arthritis. I was 18. 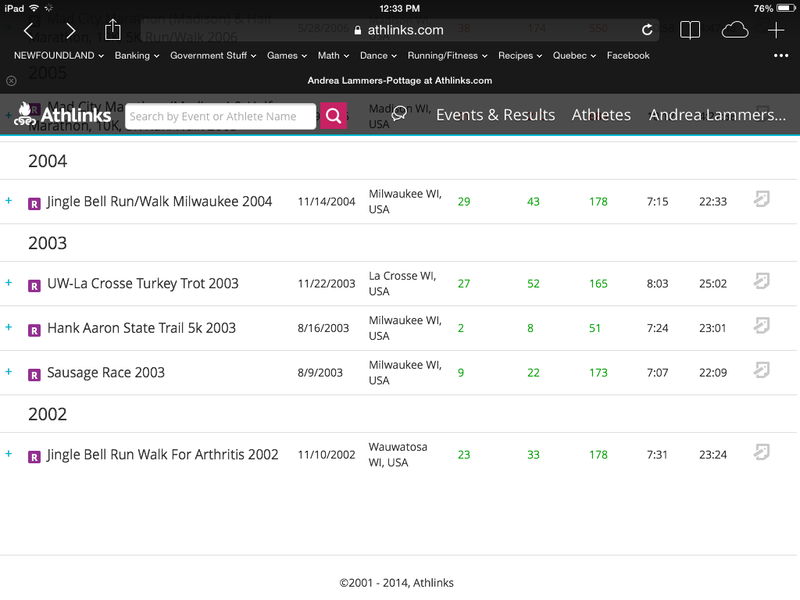 I jumped up into the 20-29 age group when I ran in the Madison Full Marathon 2005. Other than larger events that have age groups every 5 years (20-24, 25) I have been sitting comfortably for the last 10 years. I am not someone who is “dreading” turning 30. Actually, I think the fact that running has taken over a large part of my life the last two years helps the aging shock. Yes, it is an age group jump, and as someone who runs events regularly I will constantly be reminded that I am now 30. When I register for any event now, my “age on race day” will be 30. But it is exciting as for some events, it will present new challenges. I will be against different competitors in the local races I run regularly. I may place higher than I would have in the 20-29…and sometimes I may place lower. I am looking forward to the new age bracket, and will be running two races this month where my age on race day is in fact 30. We will have to wait and see if I am this positive about the aging process come the next age bracket….